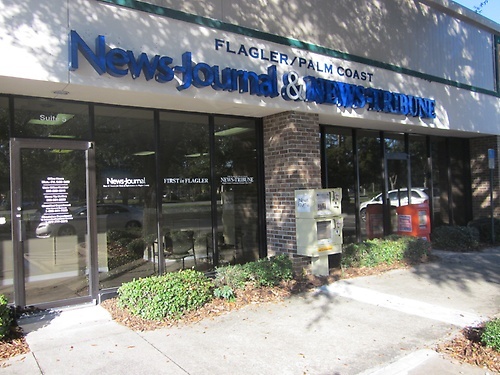 The News-Journal has been serving Volusia and Flagler counties as the local daily newspaper since 1883 and is one of the largest privately-owned employers in the area. Since 2015, it has been under the ownership of Gatehouse Media, which is a growing community of newspapers across the country. Along with taking its role seriously as a watchdog and conscience of the community, The News-Journal prides itself on being a good neighbor. The company has a long history of supporting local projects and businesses, helping to make the Volusia/Flagler area a better place to live. The News-Journal will use every means available to distribute news, information and advertising through print, online, and other publication means, with the highest regard for integrity, quality and customer service. We are committed to journalistic excellence, informing readers in all the communities we serve about critical issues, offering solutions when problems are identified, and advancing ideas on our opinion pages that we believe will help our communities improve and prosper. We believe fairness, leadership and profitability are cornerstones of The News-Journal's editorial and financial independence. The News-Journal is concerned about both customers and employees. We will provide the best service possible to all our customers. We promote employee teamwork and encourage each person to reach his or her full potential as a member of our team. ?To be the No. 1 source for news, information and advertising in Volusia and Flagler counties. ?